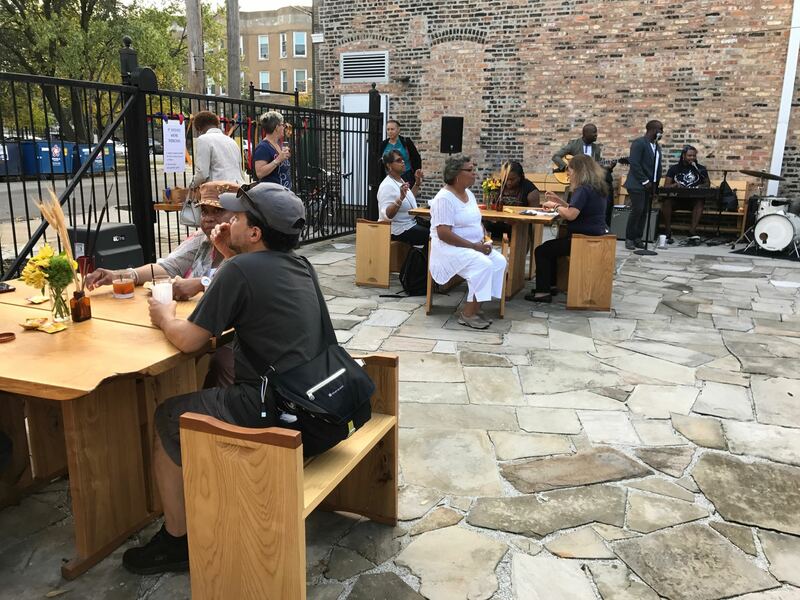 Southwest Airlines and PPS partnered with the University of Chicago’s Arts + Public Life initiative to reimagine a vacant lot in Chicago’s Washington Park neighborhood as a public space. 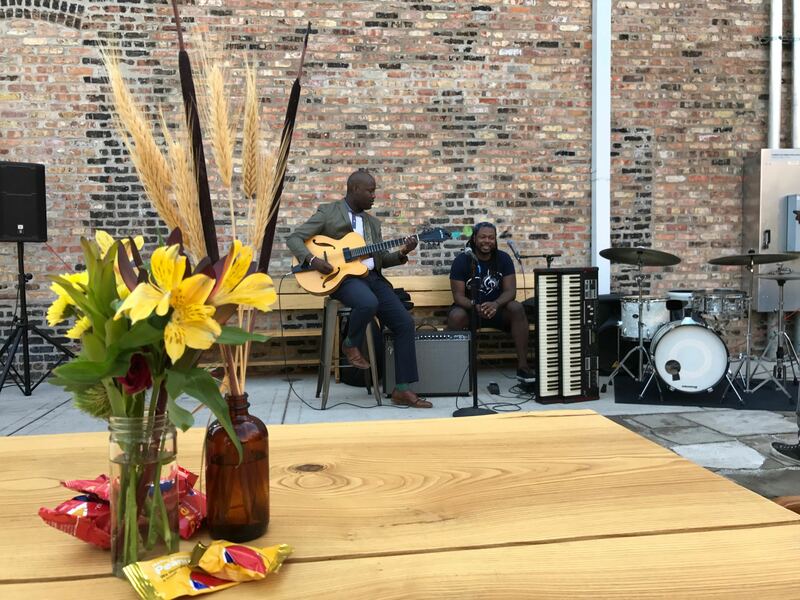 The project is located in the backyard of the Arts + Public Life’s (APL) groundbreaking Arts Incubator and complements its focus on providing active and stimulating programming for the residents of Chicago's South Side and beyond. Responding to this need for creative local spaces, the Arts Incubator and its partners designed a program of activities and amenities for the new Washington Park Arts rain garden. The amenities for the site were designed by Chicago-based artisans, and produced with help from local students involved in the Design Apprenticeship Program (DAP) at the Arts Incubator. 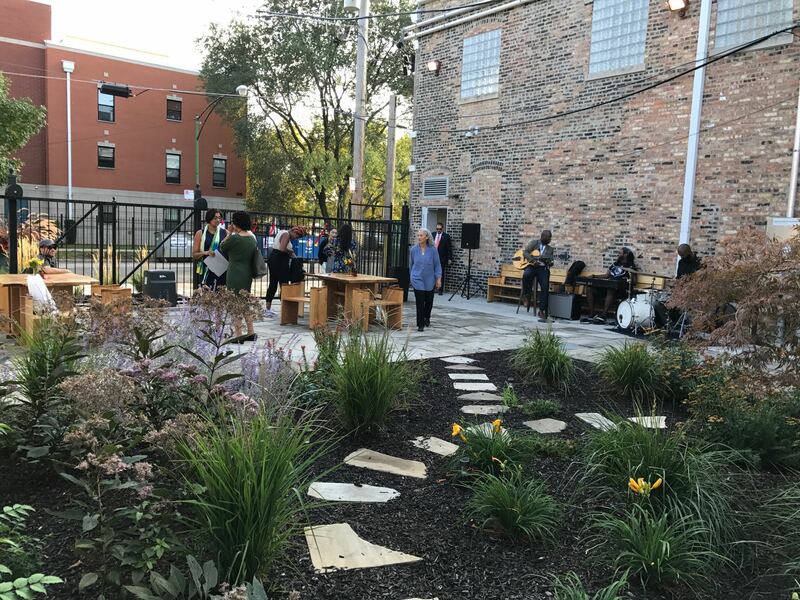 Aimed at complementing the programming in the Arts Incubator, the garden was also the result of a vision of green spaces open to the Washington Park community at large. Since the official opening of the space, the entire surrounding area, dubbed the Arts Block, has become home to different arts initiatives, like the Teen Arts Council (TAC), and the Community Actors Program (CAP) frequently use the space for activities like skill-sharing workshops. 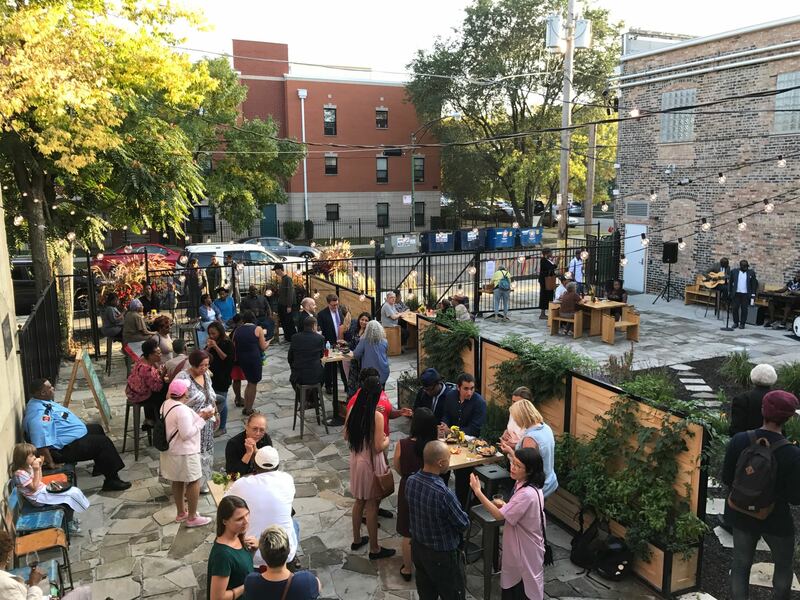 A health-conscious café, called the Currency Exchange Café, has also added to the space, especially important, as the park happens to be located in a food desert. In September of 2017, the park’s new Rain Garden also opened to the public. Besides being a quality gathering place, it is focused on improving sustainability and stormwater management for the neighborhood. It has also served as programming space along Washington Park's newly envisioned Arts Block, and plays host to musical performances and community events. The Arts Block provides a critical space to empower creativity on Chicago's South Side and in the Washington Park neighborhood. “The Arts Block is contributing to culture on the South Side and in Washington Park, and we are just getting started. The Rain Garden and the Green Line Arts Center will provide new spaces where artists and community members can come together to experiment and engage with art and ultimately contribute to a more vibrant, culturally engaged community.” -Theaster Gates, professor, Department of Visual Arts, director of Arts + Public Life. The newly constructed rain garden is a sustainability-minded space in the park. The rain garden provides valuable programming space, while providing ecological and stormwater management benefits. Public Squares enhance urban livability and provide new anchors to downtown development. Many great public spaces have grown out of communities resisting development. It is the evolution from opposition to proactive visioning - helping to create, finance, and manage public spaces - that often makes the opposition successful. Congress Square, and the community around it, are forging this story of transformation.